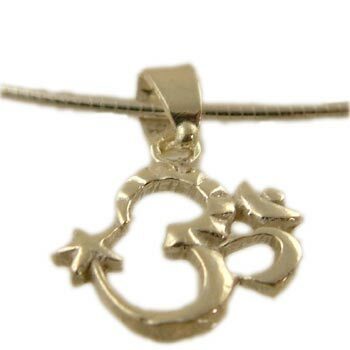 Cute, lightweight star om on a 16"/40cm snake chain necklace. Om means universal truth and knowledge. In saying Om, everything is encompassed independent of time. Om is the essence of all that is sacred. One of the most powerful and widely used mantras in Hindu and Buddhist traditions, Om is chanted at the beginning of meditation, prayer and yoga among others. Silver Om Earrings to wear everyday!